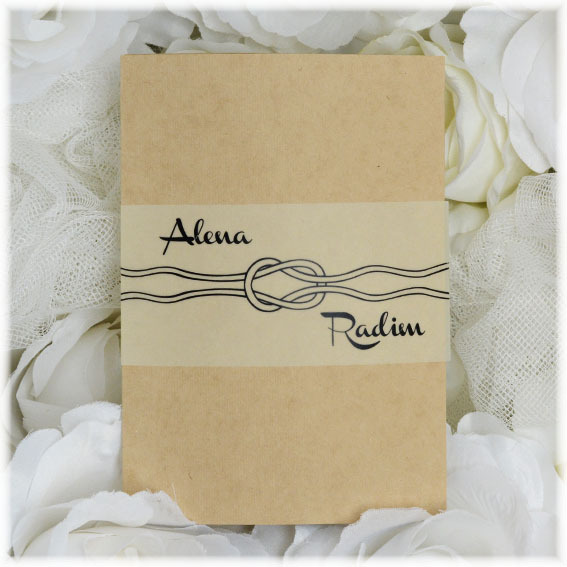 Wedding invitation from light kraft paper elegantly complemented by a "surplus" of semi-transparent paused paper. 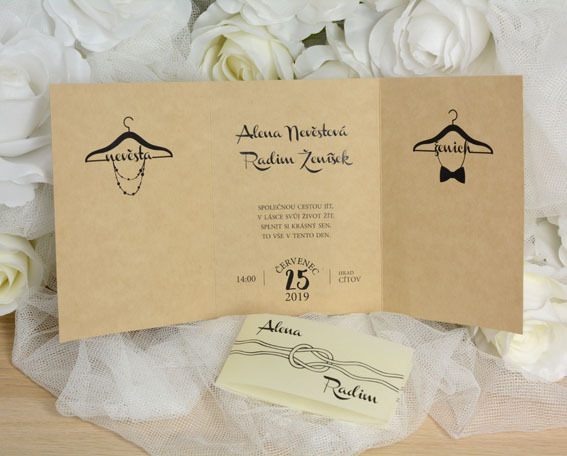 Once opened, a hanger with a tie is printed on the one side, as a symbol of the groom, and on the other side a hanger with a bead as a bride symbol. There is a text in the middle.